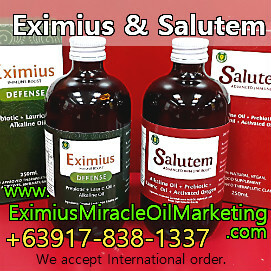 Here's another testimonial after using Eximius Miracle Oil. And this time, a stroke patient. We exchange text messages and calls. Here's the testimonial. Within just 10 days, his mom felt better. Her eyesight improved. And her breathing is improved. Can I order again? Sorry I wasn't able to update you. 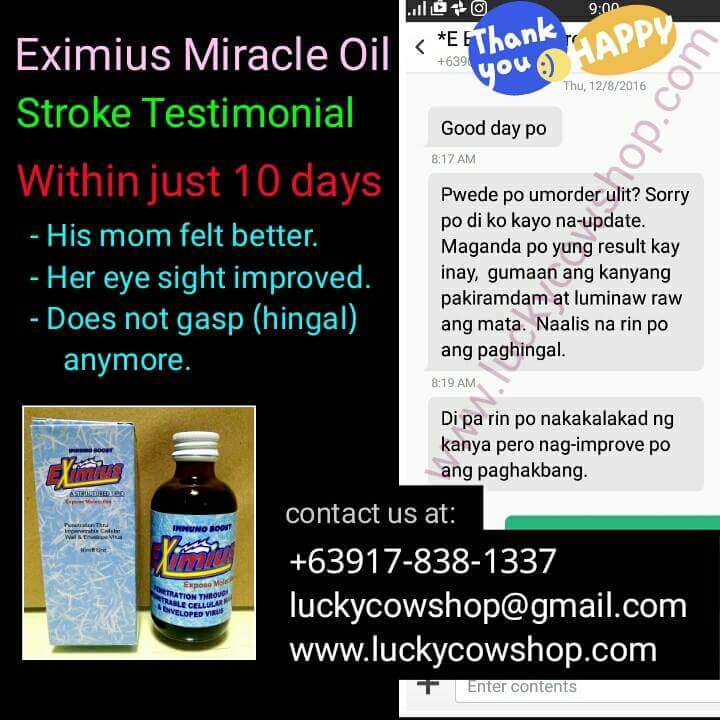 The result is good to my mom, she felt better and her eyesight improved. She is now breathing properly. She still can't walk on her own but her steps did improved. If you know any stroke patient who needs to improve their immune system, and their health condition, please share this article to them.